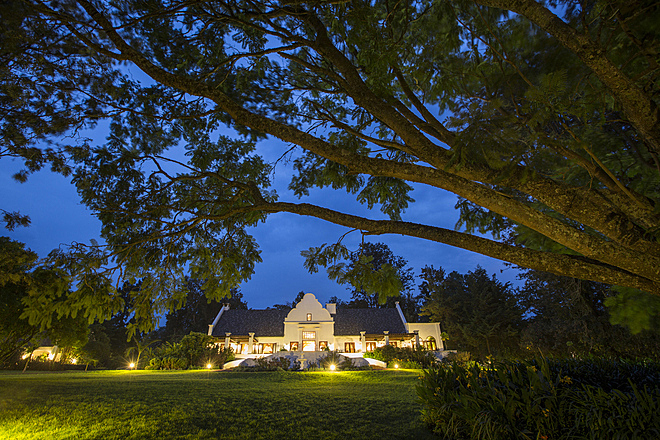 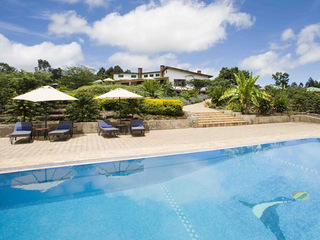 The Manor at Ngorongoro is an upmarket, architecturally impressive property set high in the rolling hills of the Ngorongoro Highlands outside Karatu. 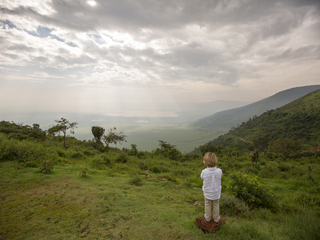 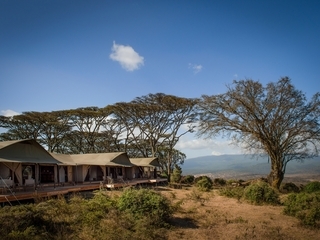 It is found nestled in a 1,500 acre coffee plantation and provides a luxurious base from which to explore the adjacent Ngorongoro Conservation area, home to rich and varied landscapes, abundant wildlife and local tribes who maintain their traditional way of life. 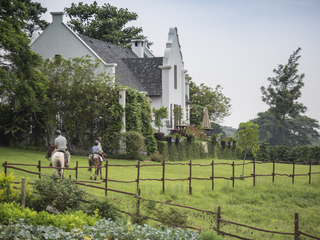 The elevated location of the property provides commanding views over the surrounding plantations and its magnificent gardens house a swimming pool, luxury spa and stables. 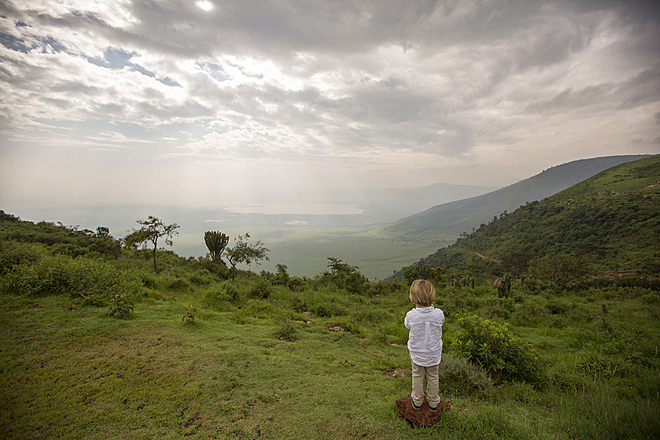 Being so high up, it can be cloudy here in the mornings but on the positive side the high altitude makes for a malaria-free micro climate. 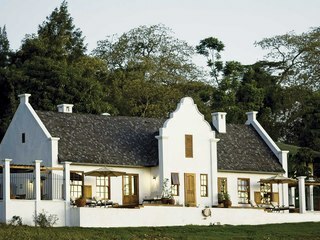 There is a fine dining restaurant in the main Manor House offering à la carte menus and a good choice of wine. 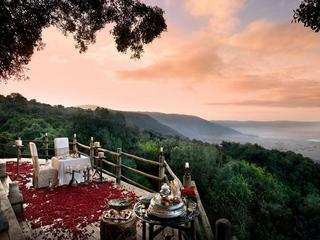 Despite the somewhat formal nature of the dining, casual dress is acceptable, in keeping with the relaxed safari ambiance. 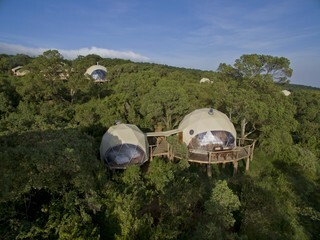 Wifi is also available, although not in the private accommodation areas. 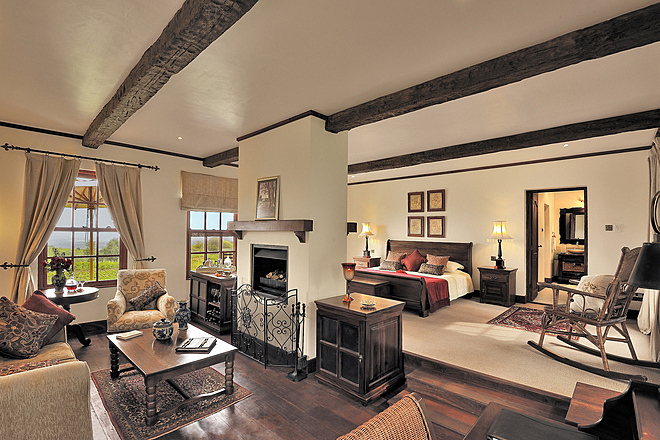 Guest comfort is a given and the accommodation comprises 9 well-positioned, luxurious Cape Dutch style Manor Cottages, each housing 2 lavish suites with private sun terrace, indoor sitting room, fireplace and enormous en-suite bathroom with twin vanity basins and large ‘rainfall’ showers. 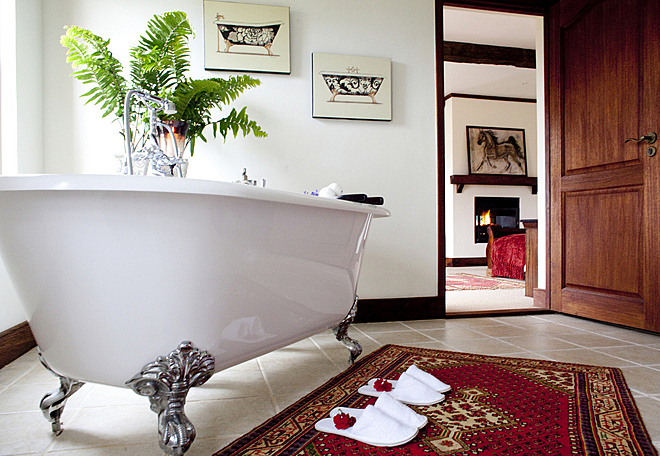 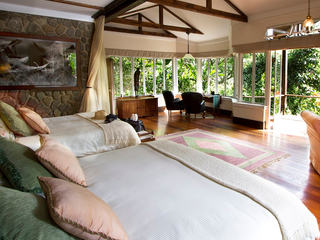 There is a nightly turndown service, room and laundry services and a safe in every room. 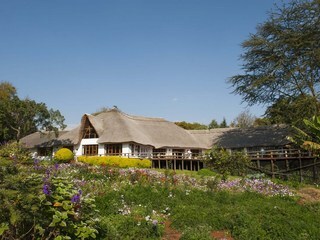 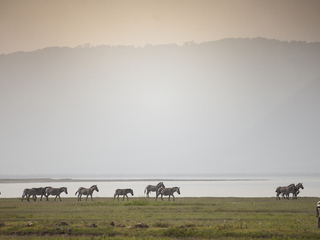 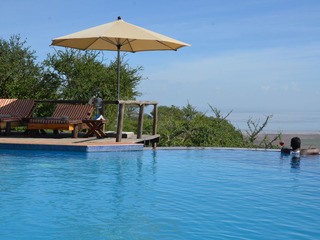 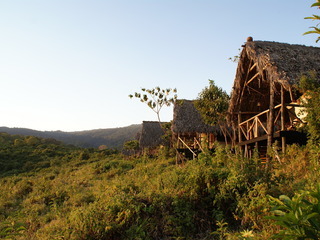 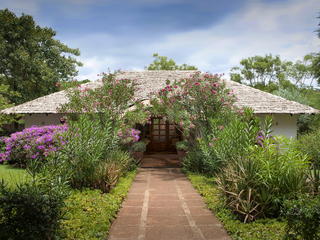 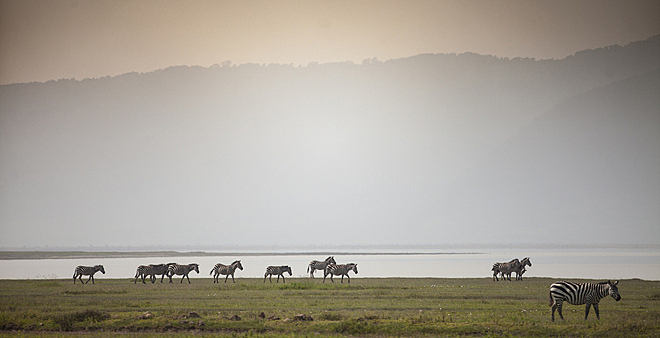 We use lodges in this area as a base for game drives in the nearby Ngorongoro Crater and Lake Manyara National Park. 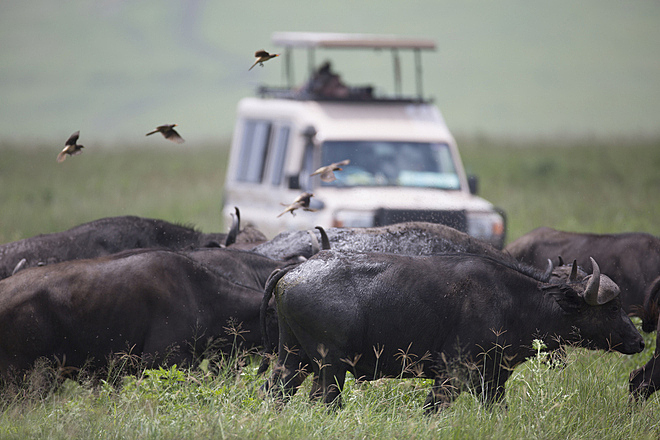 Ngorongoro Crater is a breathtakingly impressive volcanic crater which provides a 'natural enclosure' for a huge variety of wildlife, meaning some of the best game drives in Africa. 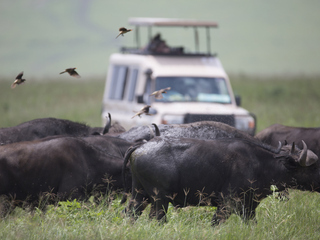 The area can become congested with vehicle traffic, however it’s still possible to divert from the beaten path and enjoy game viewing in a more secluded setting. 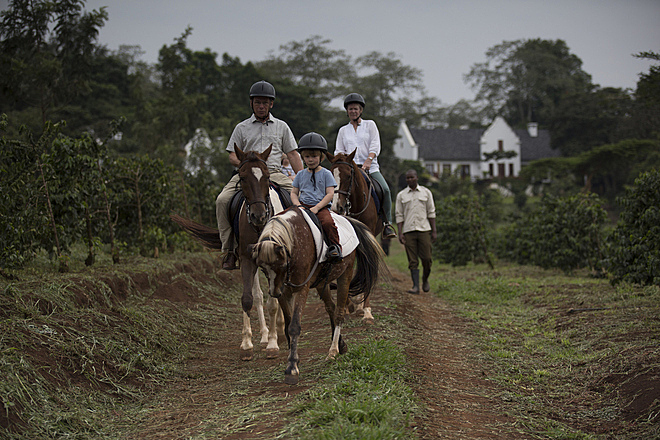 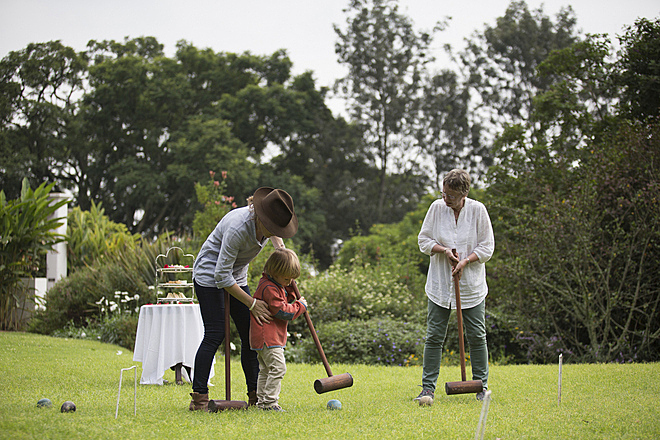 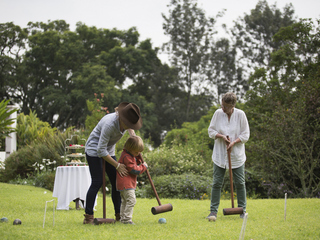 At the Manor itself there is plenty to do from exploring the coffee plantation, horse riding, playing croquet on the stunning lawns or relaxing in the pool or spa. 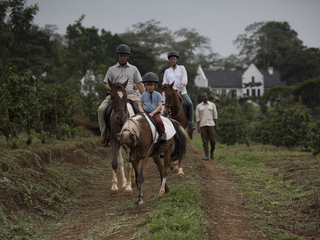 The manor’s stables provide horses and ponies suitable for most ages and guided treks are offered at an additional cost. 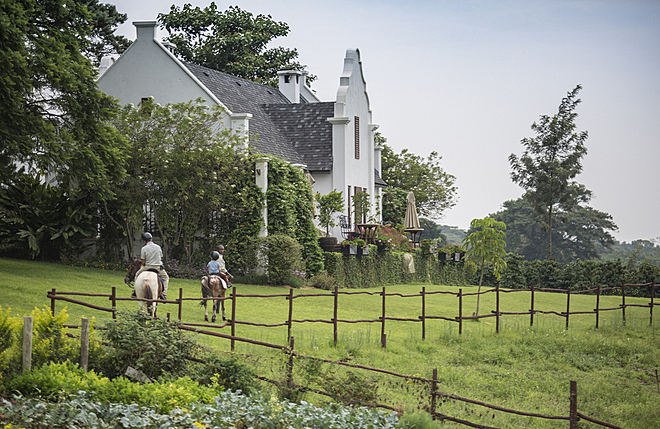 Children of all ages are welcome here and parents can be reassured by the electric fence surrounding the property to keep any wildlife at bay. 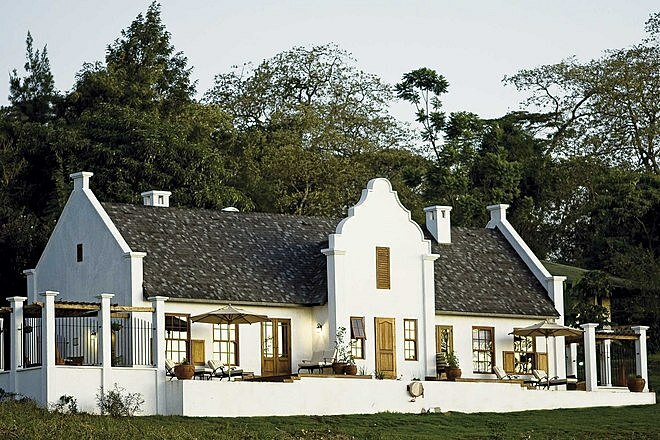 Although extra beds can be added to the Manor Cottage suites, Stable Cottage is a separate building providing optimum accommodation for families. 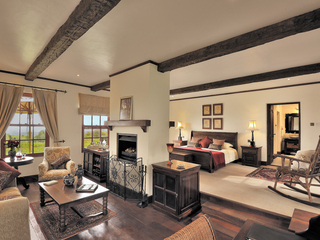 The ground floor houses a master bedroom and twin bedroom, each with en-suite bathrooms and a well-appointed family lounge area. 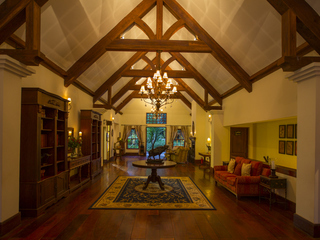 There is also a small separate dining area with lounge and fireplace. 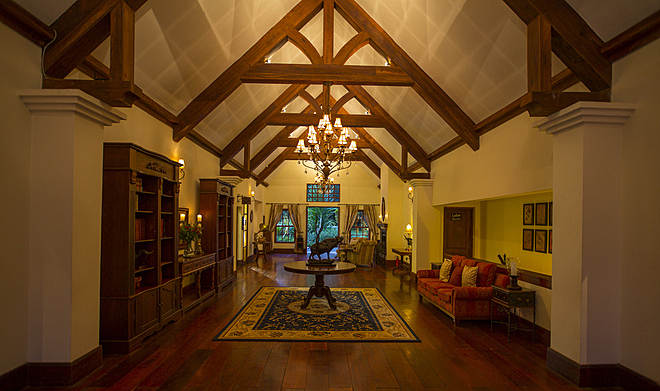 Upstairs there’s a children’s area with a twin room, child-friendly bathroom and satellite TV playroom. 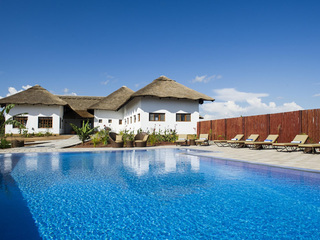 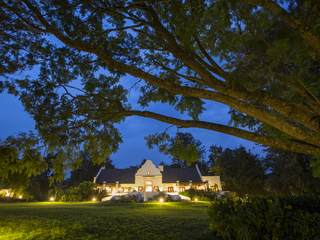 The Manor at Ngorongoro is a lavish property offering guests peaceful sanctuary amidst a busy safari schedule; the accommodation, food and service are excellent. 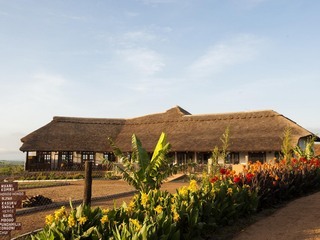 This is a top-end choice for those wishing to experience authentic rural Africa whilst also enjoying privacy and pampering in an opulent and tranquil setting.